Nathan and Valerie arrive before Dillon has a chance to spill the beans about Dante. Valerie drags off Dillon and is angry that he almost said something. Dillon claims Dante is a lying, liar who lies. Valerie says telling Lulu will only hurt her. Lulu questions what Dillon wanted to tell her. Valerie claims they&apos;re back together and willing to try again. Maxie questions Nathan and Dante about the secret. Dante throws at her that she shouldn&apos;t be asking about secrets considering her past. Ric meets with Sonny and Carly about the custody case. Ric wonders if Sonny is strong enough to deal with it. This angers Carly who tears a strip off of Ric. She assures him that Sonny is strong enough. Jake apologizes to Spin for yelling at him. Spinelli tells him that he needs Jake to send him a copy of his medical records. Jake agrees, but doesn&apos;t want Liz to know. 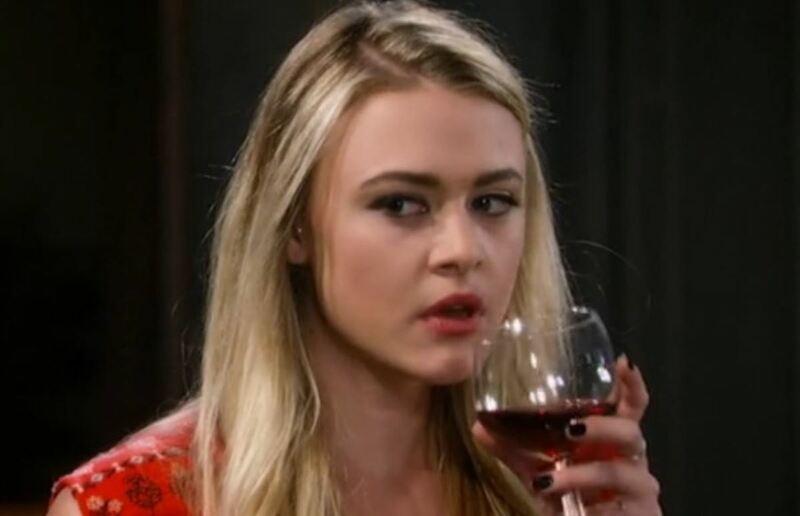 Scott warns Ava that Sonny will paint her as a monster in court and that he and Carly can offer Avery a two parent home. Scott says Ava needs character witnesses to testify for her. Ava is certain Kiki will do it. Kiki texts Morgan to come over and apologizes to him. When he&apos;s out of the room, Kiki sees a text come in from Darby. Kiki answers her. Morgan sees the message and gets angry with Kiki. She in turn says she&apos;ll never forgive him for cheating on her. Jake gets his hospital records emailed to Spinelli. Liz gives him a gift, an address plate with their married names. The two try to fill out marriage forms, but aren&apos;t concerned that most of the answers are unknown. Ava pays Kiki a visit and asks if she&apos;ll testify for her. Ava feels they had a good relationship before. Ava asks her to do it for Avery. Kiki wants nothing to do with her mother and kicks her out. Morgan runs into Darby and apologizes for what Kiki did. Darby wants to go to the Star Halloween party and Morgan agrees to go with her. Lulu gives Valerie her blessing to date Dillon but warns that he may be on the rebound. Dillon warns Dante that the truth will come out. Carly promises Sonny that they&apos;ll get Avery back from Ava.